Anchorage emergency departments were open today, and all three major Anchorage facilities said they received patients with earthquake-related injuries. Providence Alaska Medical Center reported that their emergency department saw a normal volume of patients, including a few with earthquake-related injuries. Alaska Native Medical Center also said they treated a handful of patients with very minor earthquake injuries. All three canceled elective surgeries and non-emergency appointments. Tom Cox from Fairbanks was at Alaska Regional Hospital in Anchorage in the waiting room as his wife was undergoing foot surgery when the earthquake began. He said he was asked to evacuate out the emergency room exit. The surgeons were able to finish his wife’s surgery, and he said he was getting regular updates from staff. 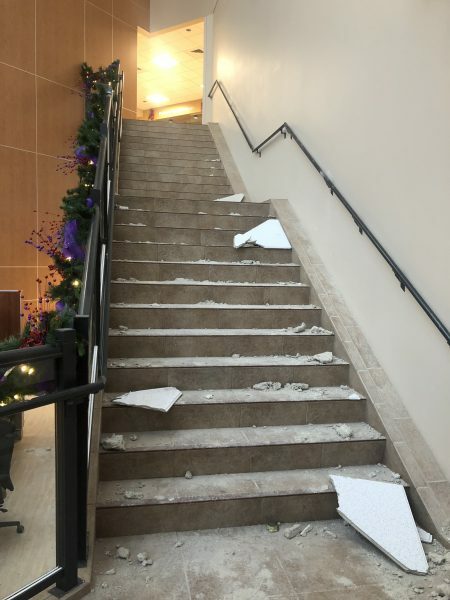 Alaska Regional Hospital incurred some visible damage, the CEO said, but they’re still assessing whether there was any significant structural damage. There are water leaks around the building. Taylor says that no patients or staff were injured. Patients who are in the facility are still being cared for. She recommends that people call before going to appointments on Monday to make sure they can be seen. Ravenna Koenig contributed to this report.